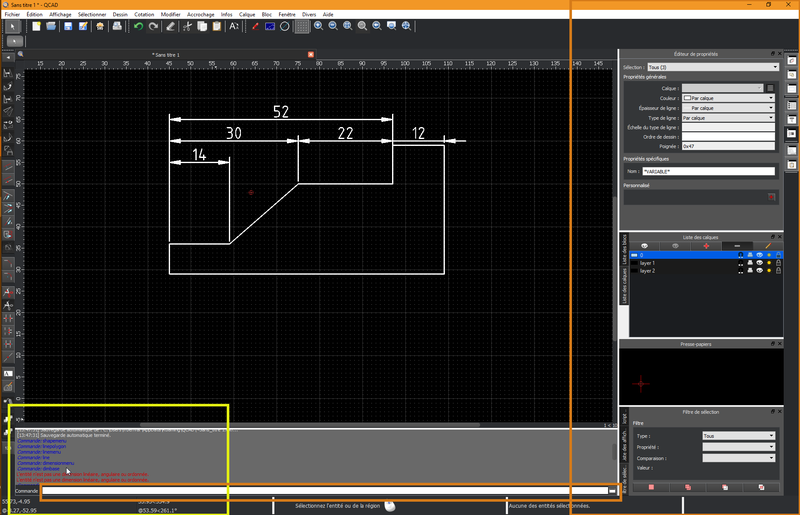 Please revert or correct this new black theme (qcad pro 3.22.0). this theme is too constrasted an some elements are not visible or readable. In the yellow frame, the text is not colorblind proof. To me it is difficult to read. In the red frame, contrast hurts. Note: despite this, i'm very satisfied by qcad, and i'm loving using it. It's getting better and better. Last edited by binoyte on Fri Mar 15, 2019 10:25 am, edited 1 time in total. Dark theme is too dark almost black. If you like black theme, please offer also a dark theme. Note that you can add your own theme(s). Have a look at themes/Dark/... Simply add themes/MyTheme where MyTheme is your theme name and create your own stylesheets / images. There are many examples online for Qt themes. The dark theme is meant as an intermediate solution, primarily for macOS users using the dark OS mode. Hopefully Qt will support the dark theme soon (indeed it already does in Qt 5.12 but 5.12 still has other, more serious issues).